We easily download movies from the internet to our android devices to enable us watch it without any stress when we have no schedule. But some of the movies and TV shows we preferred to watch may or may not come with subtitles. Some are filmed in foreign languages we tend not to understand and thus unable to know what actually the movie is all about. Majority of the people all over the world has been familiar with the universal language which is English and we expect every TV shows to be subtitled in English but sometimes it seems they forget to add subtitles to those movies and we find it difficult to get along with the movie since we do not understand what actually the sequence of the movie is. This is were the media player is important. Among the media player been developed on the android platform, we are going to use one among all of them in other to achieve our aim of adding subtitles to movies and TV shows in android. MX player is one of the top media player app out there, with many endless features and functionality. 1. Ability to add background colour to subtitle text. 2. Ability to change subtitle font, color and border easily. 3. Ability to synchronize a subtitle thereby adjusting it the way you want. MX player has alot of features but I am not here to mention all of them, the above list is essential for when it comes to subtitle customization. Although the free version of MX player is not ads free, you can purchase the pro version to enjoy the app better. Were can I get subtitles for my movies? This question actually is not new to us since you have been reading this post,I do know you probably had it in mind. A lot of website out there offers you subtitles for your movies free so you don’t have to bother searching for them. Below is the list is of website I recommend. The above mentioned website are easy to use, just login to it and search for the movie name you which to download its subtitle. Steps to add subtitles to movies using MX player.. There are two ways/method to do it, either you manually download and load the subtitle you downloaded earlier or just get subtitle online via the app. 1. Download the subtitle from the above named website. 2. Extract the downloaded subtitle (I.e if its in zip) it should be in SRC format. 3. 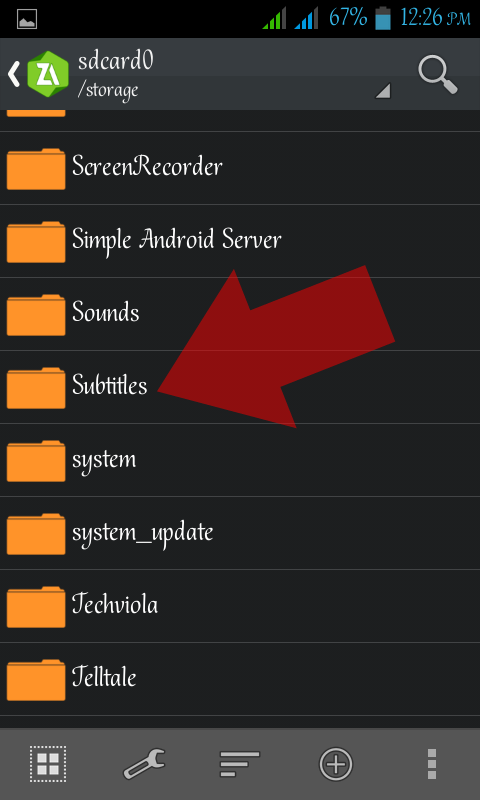 Place the subtitle file to sdcard/subtitles. (If the folder is not there create it. 4. Now launch your MX player and navigate to any movie you want to add subtitle to (the one you downloaded its subtitle). 5. Click on the 3 dots while the movie is playing.Navigate to subtitle, click open scroll down and select the subtitle you placed in subtitle folder. 2.Tap Get subtitles online and click search. 3. A box will popup, tick enter your search text box. 4. Type in the movie name you which to add subtitles to and tap ok. Example: the incredible hulk. 5.It will auto search subtitle. Now select any one you desire from the list and it will load. I hope this method enables you to fully add subtitles to your favourite movies and be able to figure out what the movie is all about. Happy streaming and watching movies and TV shows. Drop comments below if it helps!.